Here at Wilkinsons we have always tried to develop relationships with a variety of customers and vendors as well as trade and private resources of information. So it is my great delight to bring to the attention of some, and no doubt remind quite a number of others, about the useful information which is available in the Antique Collectors magazine. 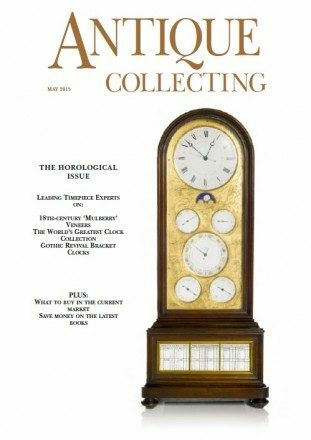 We have been in partnership with the good people at the Antique Collectors magazine for many years, and have been lucky enough to be both included in editorial pieces as well as eductated on other subjects by them. The magazine, which is available at the following link, containss a wealth of knowledge for new starters just getting into the antiques industry no matter what your interest: 17th Century coffers, 18th Century oil paintings or more modern items such as Victoriana or Cramberry glass. Seasoned traders will also find it interesting to identify new trends as well as new busisness which could both supply stock or sell their items. The monthly magazine covers such a large array of topics its well worth subscribing, or just reviewing their fairs and events section to see if something new catches your eye. If you want further informaton please see the link below which will take you directly to the Antique Collectors magazine website.